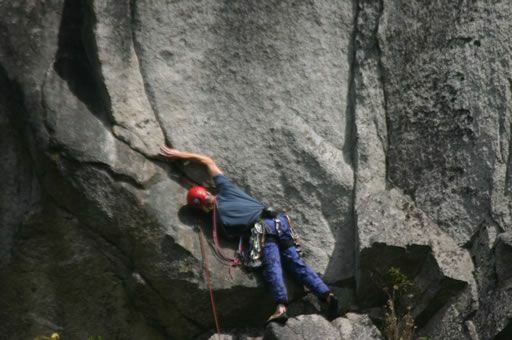 Detailed Description: As early as the 1970's the rockclimbing park has been a popular destination for hikers, rock climbers and photographers. 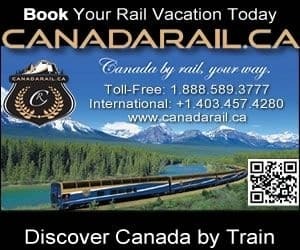 For many years the locals have been exploring this region near Squamish, British Columbia, Canada, with great pride and care. It was not until 2006, that a local group of rock climbers banded together to establish the region as a park so to protect the sensitive granite formations and surrounding fauna. It was the efforts of these early outdoor pioneers that established the many trails, viewpoints and climbing routes that we, now, enjoy today. The routes, whether climbing or hiking, all provide fabulous views of the surrounding mountains and of Howe Sound. The trail system in the park follows, mostly, a gravel path up through the hills leading to various climbing routes. Some of the more popular mountaineering routes include the 'Smoke Bluff Wall', 'Ronin's Corner', 'Crag X' and the 'Octopus Garden'. Because of the various levels of climbing routes available there are many routes suitable for beginners and experts. One reason the Smoke Bluffs Park has become the most popular year round climbing centre in Canada. 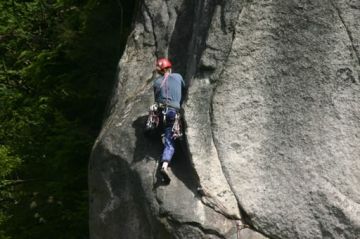 In Squamish, British Columbia, Canada there are many mountaineering clubs and adventure companies providing lessons and equipment. 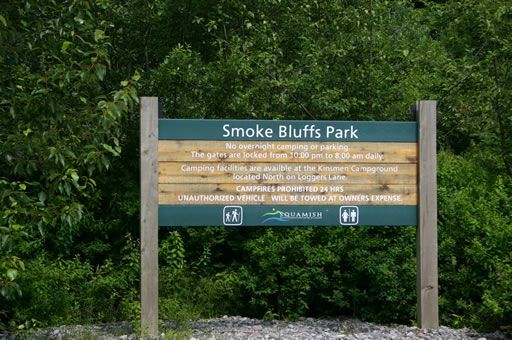 Many, of which, use the Smoke Bluffs Park as their year round training ground. Hikers also enjoy the park in large numbers. 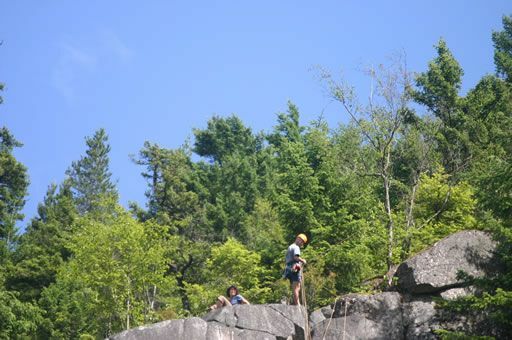 Some come for a day of exploring trails, while others come to climb and navigate the granite walls. The main hiking route called The Smoke Bluff Trail is mainly an uphill trek zigzagging around rock walls leading to views of the valley. The most popular viewpoints for hikers are located near the 'Burger and Fries' and 'Penny Lane' Climbing Routes. In the parking lot of this Squamish park, at the trailhead, are some large informative signs of the trail system, climbing routes and of the history of the park. There are outhouses at the trailhead and some along the trail. How to Get Here: Traveling north on Hwy 99 (Sea to Sky Highway) towards Squamish, British Columbia, Canada take a right at the main intersection onto Logger's Lane. Continue down Logger's Lane for a short distance. Watch for the directional signs pointing to the parking lot on your right. From the parking lot the trailhead is just a few steps away.